Punk rock band Ink Bomb will be touring in the UK from 6 to 9 October. 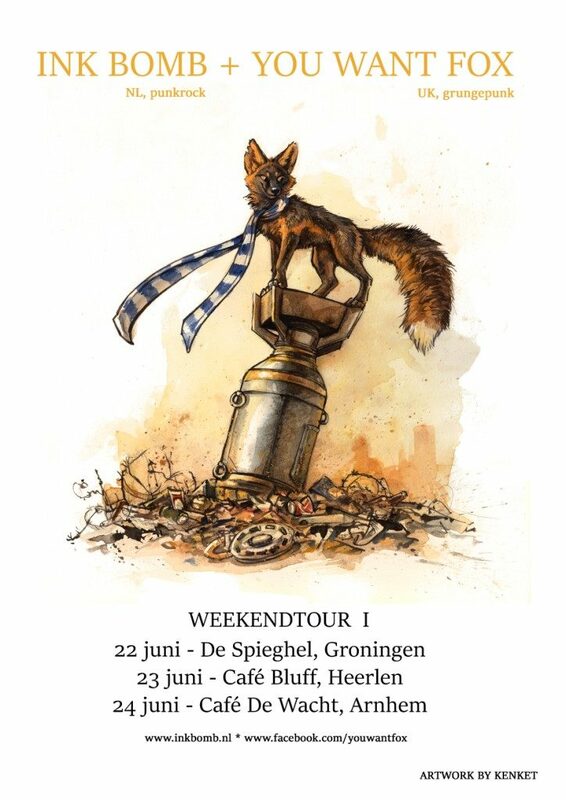 The band from Nijmegen will play three shows: in Birmingham, Nottingham and probably Derby. Previously, the band already has played shows abroad. However, this is their first tour abroad. “We are looking forward to it. The ferry has already been booked!”, said singer Joost Hoedemaeckers.